With the spooky and fun Halloween weekend just behind and November upon us, the official holiday season has begun. As you are thinking about this year’s holiday decorations and fun gatherings ahead, be sure think of The Christmas Light Pros of Tri-Valley and our professional Christmas light Installations services in the Tri-Valley. Our new blog is here for you, and will feature upcoming holiday events in the Tri-Valley, residential and commercial Christmas light installation projects in the Tri-Valley area and 3-part quick tip guide to have safe and fun holiday season. Let us know if you would like us to feature your holiday event in our blog, and send us your Christmas lights pictures to post on our website! 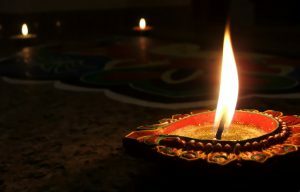 Our featured event for the first part of November is the Diwali Celebration of Lights. The Indian holiday, celebrated worldwide, is the celebration of light and life. It is celebrated on November 11th, 2015 and there is a fun event hosted in Pleasanton on November 7th in celebration. Join the Indian community in partnership with Pleasanton Schools Education Enrichment at Amador Valley High this Saturday night, October 7th from 5-10PM. You will be amazed at the selection of colorful jewelry, saris, dresses, and holiday light displays. For more information visit the event site here. Our featured Tri-Valley Christmas light installation for this post is the commercial Christmas light installation at Concannon Vineyard in Livermore. Concannon Vineyard is a great place to enjoy the holiday season and sip great wine and attend a one of a kind evening event. They chose the Christmas Light Pros of Tri-Valley to make Christmas come alive. We installed top of the line holiday lighting and decorations throughout the grounds, and provided just the right amount of flair for the holiday season. Visit the vineyards for one of their many holiday events, and be sure to check out the holiday lights. For more information visit their website here. 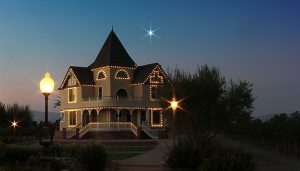 The Christmas Light Pros Tri-Valley are your go to Holiday light installation team. We will supply all your Christmas lighting and holiday decoration needs. Our one price, no hidden costs, includes all materials, installation, maintenance and removal at the end of the season. You no longer need to deal with storage hassles, climbing on ladders for repairs or upgrades, or tangled light strings, so you can just enjoy the holiday season. Our team of experts provide top of the line commercial grade products and take the hassle and headache out the holiday decorating process. Our friendly, knowledgeable and professional team can handle any size job, from residential Christmas light installations, to large shopping center holiday decorating and commercial Christmas light installation! We use only the best lighting technology. With our LED Christmas lights, you can rest assured that your energy usage and carbon footprint will be at a minimum. Be sure to check back in a couple weeks for our next blog release. And don’t hesitate to give us a call for any and all of your residential or commercial Christmas light installation needs in the Tri-Valley. We provide Residential and Commercial Christmas light installation in Alamo, Blackhawk, Danville, Dublin, San Ramon, Pleasanton, Ruby Hill, and Livermore. Give us a call today or send us a contact to receive your free quote today!